Are you worried about your baby falling down and hurting their head and shoulder when learning crawling, walking and running? Zerlar Baby Head Protective Pad is perfect for every mommy and daddy to protect your crawling baby, walking-learning baby! Made of breathable mesh in outer layer and Cotton as a filler. Outer layer mesh is soft to touch. Filler is Thick and Solid to give a full protection for your Baby. 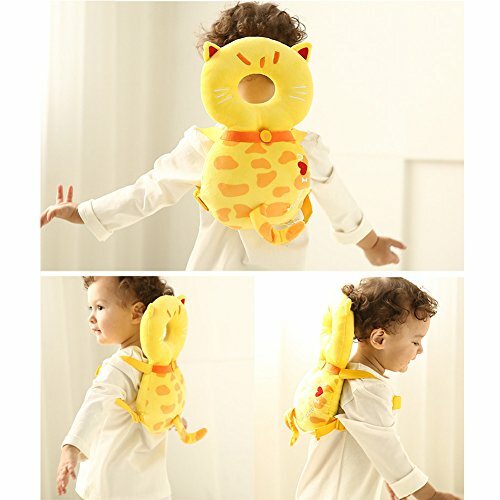 Safe and suitable for baby! Used for babies at 4M - 24th age, especially for those babies learning to sit, crawl, stand, walk. Effectively protect babies from hurting when they fall down. 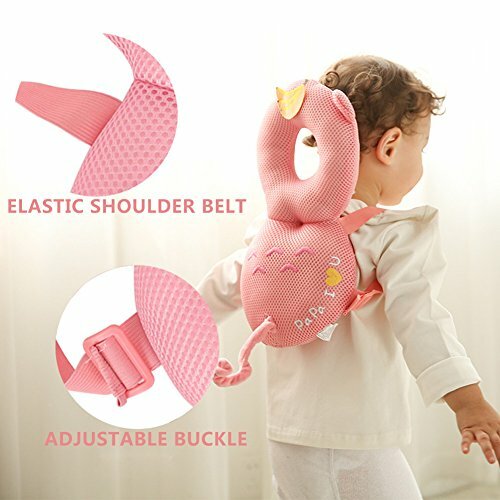 Elastic shoulder belt fits for all babies. Shoulder belt is also adjustable according to your baby's size. Solid and stretchable straps, allows baby to move free! 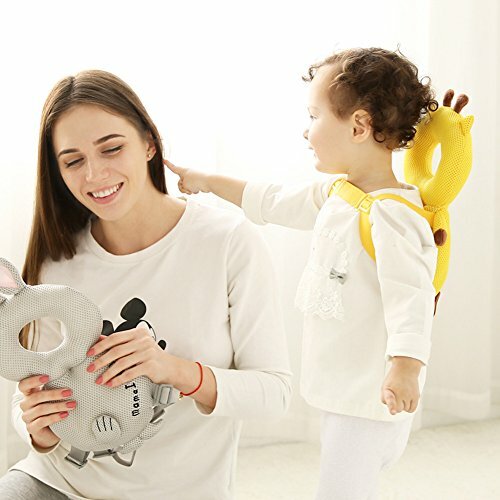 Zerlar Baby Head Protector is lightweight. Burden-free, ergonomic design, no tightening pressure over baby's head as traditional styles, easier for baby to adapt to. 100% Brand New item from Zerlar, Free Shipping; Hope you can get the best service from Zerlar Store. 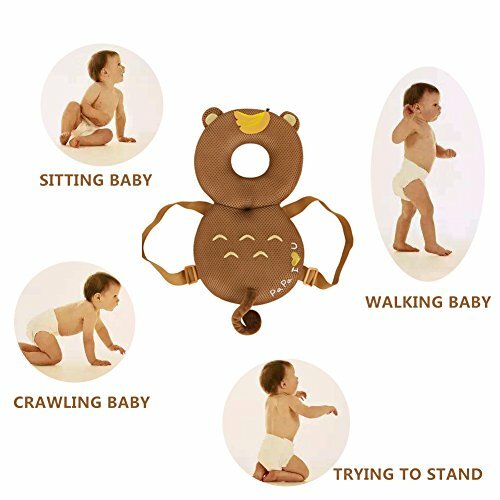 A MUST HAVE - Are you worried about your baby falling down and hurting their head and shoulder when learning crawling, walking and running? Zerlar Baby Head Protective Pad is perfect for every mommy and daddy to protect your crawling baby, walking-learning baby! SOFT & BREATHABLE - Made of breathable mesh in outer layer and Cotton as a filler. Outer layer mesh is soft to touch. Filler is Thick and Solid to give a full protection for your Baby. Safe and suitable for baby! TARGET AUDIENCE - Used for babies at 4M - 24th age, especially for those babies learning to sit, crawl, stand, walk. 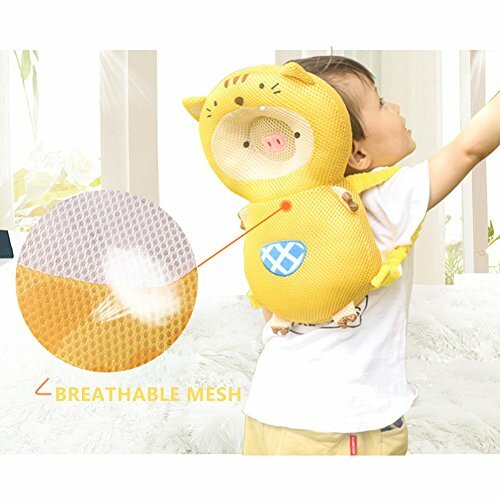 Effectively protect babies from hurting when they fall down. With Cute looking, can be used as toys too. ELASTIC & ADJUSTABLE - Elastic shoulder belt fits for all babies. Shoulder belt is also adjustable according to your baby's size. Solid and stretchable straps, allows baby to move free! 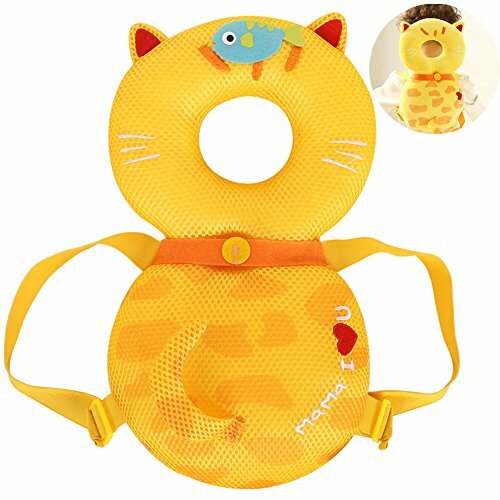 LIGHTWEIGHT & BURDEN-FREE - Zerlar Baby Head Protector is lightweight. Burden-free, ergonomic design, no tightening pressure over baby's head as traditional styles, easier for baby to adapt to.